Each Cloudera Search server can handle requests independently. Clients can send requests to index documents or perform searches to any Search server, and that server routes the request to the correct server. ZooKeeper on at least one host. You can install ZooKeeper, Search, and HDFS on the same host. HDFS on at least one, but as many as all hosts. HDFS is commonly installed on all cluster hosts. Solr on at least one but as many as all hosts. 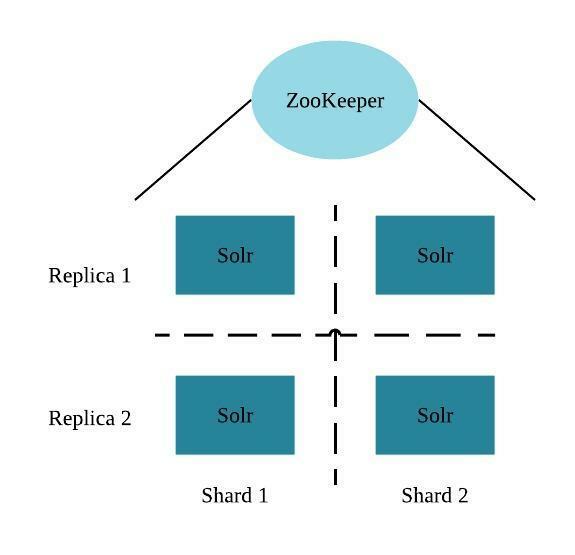 Solr is commonly installed on all cluster hosts. More Search servers processing requests. Indexing jobs, such as MapReduceIndexer jobs, use a MapReduce driver that starts a MapReduce job. These jobs can also process morphlines and index the results to Solr. solrconfig.xml: Contains Solr configuration parameters. schema.xml: Contains configuration that specifies the fields a document can contain, and how those fields are processed when adding documents to the index, or when querying those fields. You can use parcels or packages to deploy Search. Some files are always installed to the same location and some files are installed to different locations based on whether the installation is completed using parcels or packages. 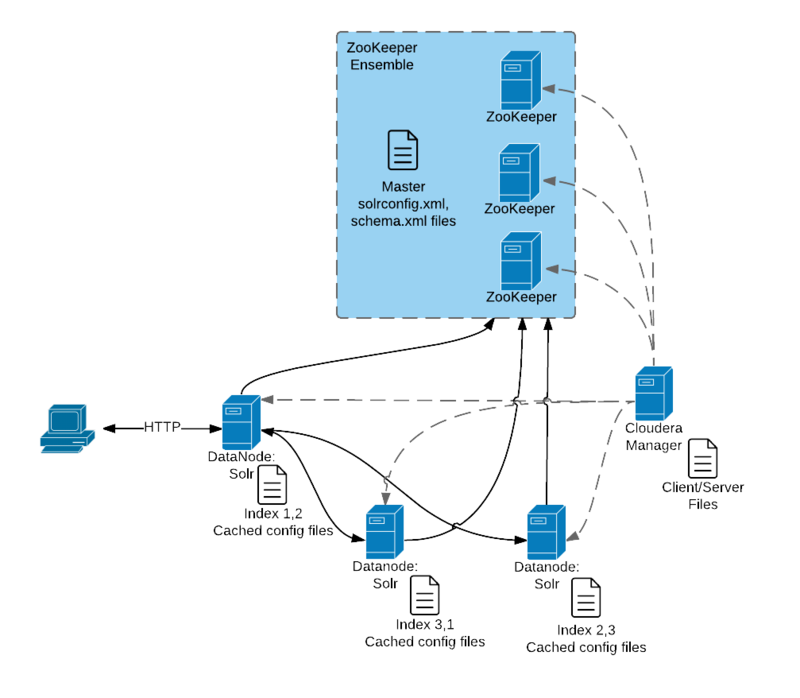 Cloudera Manager environments store configuration files in /var/run/.